Atturo Tire has announced the expansion of its partnership with Carlson Moto and professional short-course off-road driver Andrew Carlson for the 2018 season as he and his team compete in a new off-road racing platform sponsored by Lucas Oil. 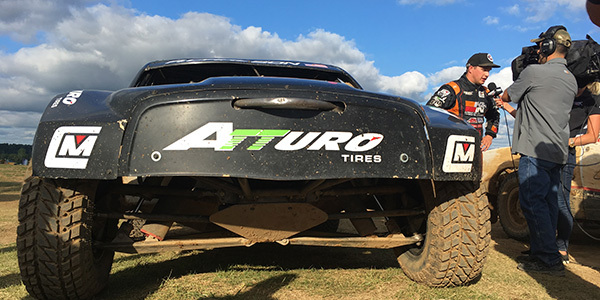 In 2017, while driving on Atturo Trail Blade M/T tires, Andrew Carlson won three PRO 2 races and one PRO Light race for The Off-Road Championship (TORC) Series, which announced on March 23 that it has canceled its 2018 season. To fill that void, Lucas Oil has announced a partnership with three off-road tracks to form a new short-course racing platform, in which Carlson will compete. The 2018 Lucas Oil Midwest Series will begin with the 25th Forest County Potawatomi Brush Run, held June 15-17 at Crandon International Off-Road Raceway in Crandon, WI. 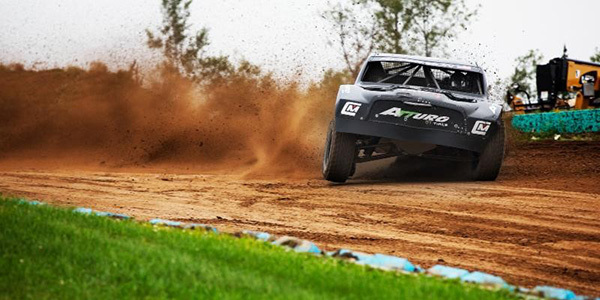 During the summer, four additional series races will be held at Crandon, ERX Motor Park in in Elk River, Minn., and Bark River International Raceway in Bark River, MI. In 2017, Carlson made the move to the PRO 2 ranks mid-season and quickly rattled off four wins and nine total podium finishes in the highly competitive class. PRO 2 trucks produce nearly 800-horsepower, and rely on rear-wheel drive only. Having the Trail Blade M/T that can deliver the right grip while withstanding unrelenting punishment was critical to Carlson Moto’s success. June 15-17 – 25th Forest County Potawatomi Brush Run, at Crandon International Off-Road Raceway, Crandon, WI. July 13-14 – 3rd Annual at ERX Motor Park, Elk River, MN. Aug. 10-12 – 43rd Annual at Bark River International Raceway, Bark River, MI. Aug. 31 to Sept. 1 – 49th World Championship Off-Road Races, Crandon, WI. Sept. 2-3 – 3rd Annual Crandon World Cup/ AMSOIL Cup, Crandon, WI.